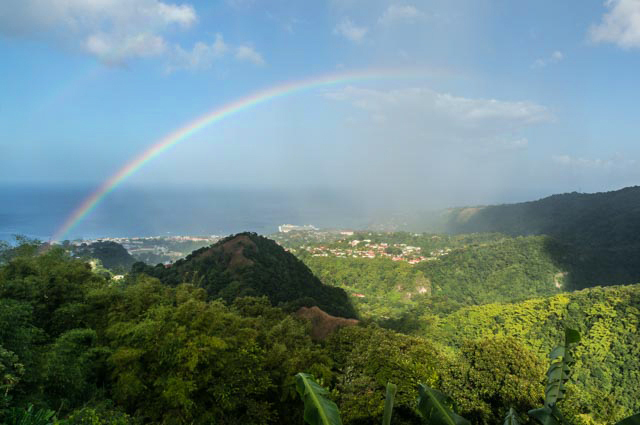 We’re renting an apartment high on the hills in a quaint village on Dominica island. 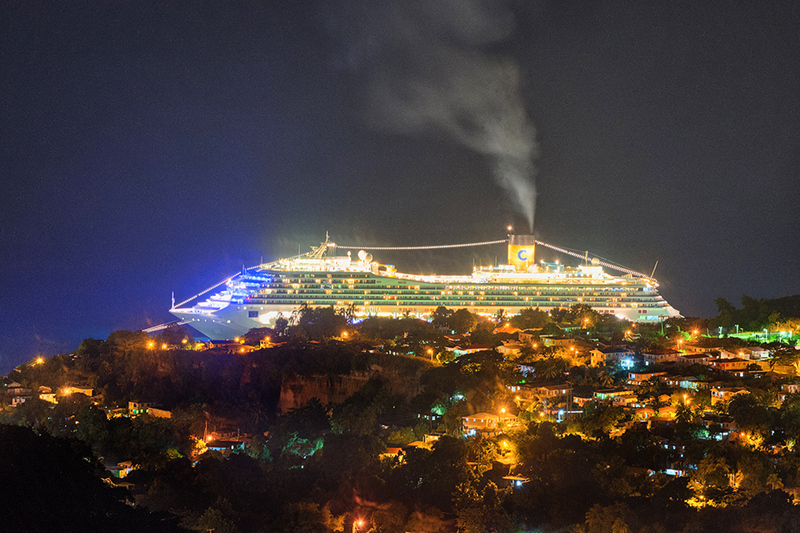 Our apartment is small but it has a large terrace with a really stunning view of the capital town of Roseau surrounded by lush hills and Caribbean Sea. Usually, we have our breakfasts there. Sipping morning coffee we watch this awe-inspiring view in silence. It’s still a rainy season with occasional passing showers followed by periods of sunshine. From our vintage point, we watch a spectacular display of rainbows suddenly appearing in front of us and quickly vanishing. Very often they form a complete semicircle, an impressive arch filling the sky with colors. Sometimes, we can see fragments of the circle or an accumulation of rainbow-colored fluffy clouds. 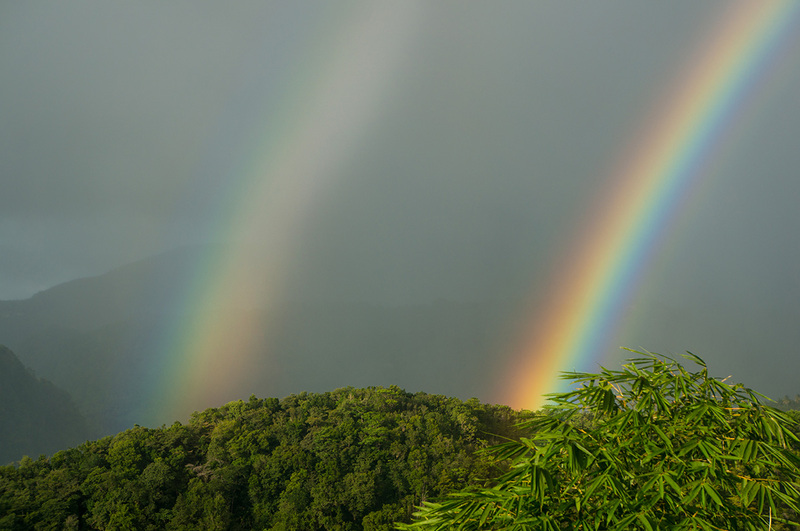 Today, “our morning rainbow” was especially impressive: it looked double! There was the first semicircle arch outside which appeared to be a second one, but thinner and fainter. I was much surprised when I noticed that the second bow had color pattern inverted. What a treat to see! All the colors of the main rainbow were really intense, very saturated and easy to distinguish: even bright orange and violet which are usually blurred. 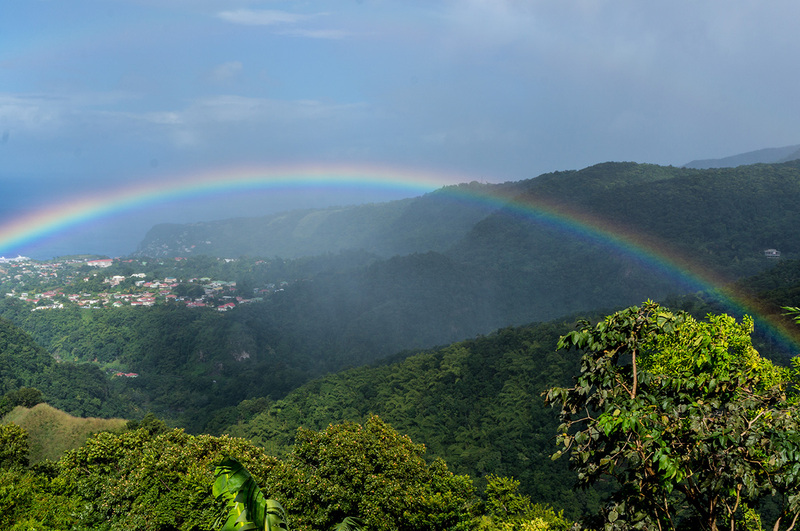 Dominica is a land of rainbows: I saw many in different locations on the sky or near waterfalls and lakes around the island – but nothing as spectacular as this one. 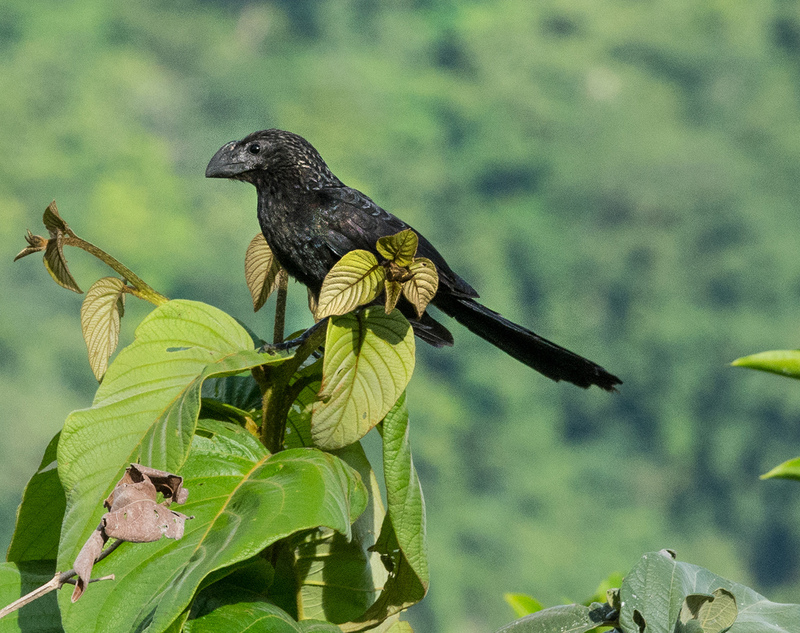 This phenomenon was also witnessed by our frequent visitor here, the Smooth-billed Ani, a medium size bird with black plumage and parrot-like bill. He seemed to be totally unaware of the subject of our fascination. Smooth-billed Ani (from cuckoo family) on a nearby bush. This fleeting moment of beauty will stay forever in my memory. In two weeks we’ll move out of this apartment and “we’ll lose the view” However, I’m sure that rainbows will still be here without us- witnesses and admirers- as stunningly beautiful as always.